We’re not fancy or high priced cookie cutter chain. 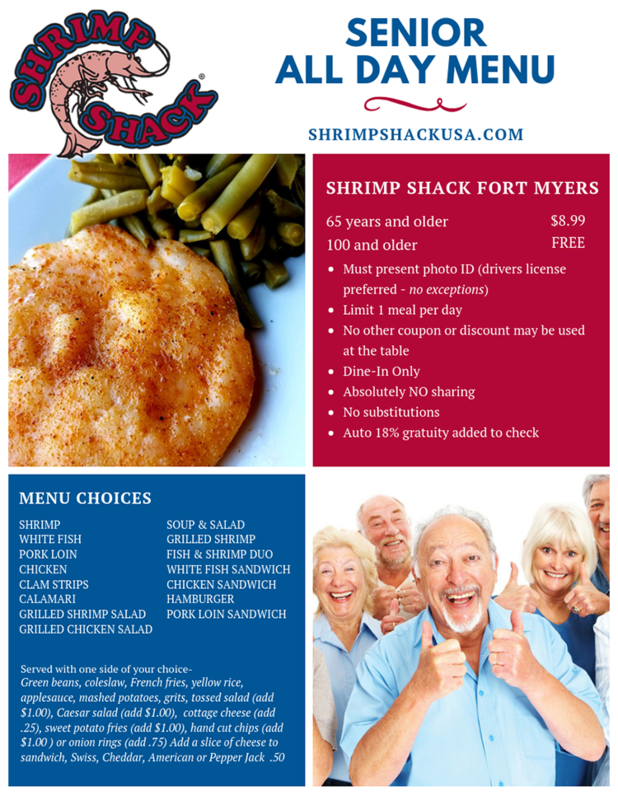 The Shrimp Shack of Fort Myers is a casual, low key and locally owned restaurant that has been offering really good seafood to the community for over 20 years. We have a small store inside where you can stop in and shop – get your favorite T-shirt and proudly show it off! Stop in and get your Shrimp Shack T-shirt. We have a variety of colors and styles in a variety of sizes. Say goodbye red lobster and hello to the shrimp Shack bigger and taster shrimp, crab legs prefect, hush puppies awesome. The wife had fish and scallops and loved it. Great price, we’ll be back! First time and we loved it!!! The food was great. Nice flavor with some kickin’ cocktail sauce. Also liked how clean everything was and the workers were really cleaning all the time. Definitely impressed. Service was excellent. My husband had full belly fried clams and I had fried oysters. Both were delicious. I had 5 oyster leftover and our waitress gave me instructions to reheat. They were delish! We were out for our last dinner on vacation before we had to head home from vacation. We were so happy with the food, service and atmosphere! Had the peel and eat shrimp and the baked haddock with dill sauce – it was wonderful! Thanks for a great experience!